Director Mysskin has been one busy man with films like Savarakathi and Thupparivalan, lined up in his kitty. Mysskin has 'Bar Anthem' (Mugamoodi) and a few other songs as a lyricist to his credit. Adding to the list, he has written a song “Barber Anthem” in Savarakathi, which is directed by his younger brother G.R.Adithya. The song starts like ‘Thangakkathi, Vellikkathi, Sembukkathi, Irumbukkathi, Savarakkathi Eedaaguma’ which is written and sung by Mysskin. Music has been composed by Arrol Corelli, who has earlier done films like Pisaasu and Pasanga 2. Venkat Prabhu clarifies on Saroja 2! Ajith's success story is an enigma! Director Mysskin Announces His Next Directorial Venture In The Crime Thriller Genre. 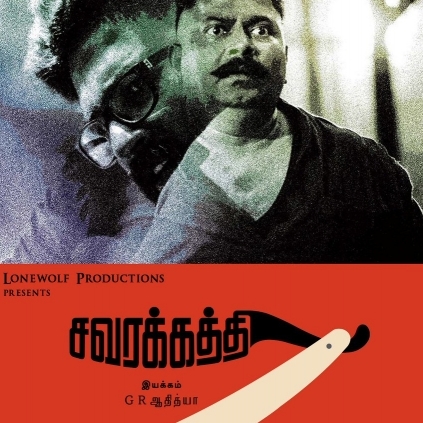 People looking for online information on Mysskin, Savarakathi will find this news story useful.